The Austin American-Statesman’s Laylan Copelin reports that a controversial $11 million Cancer Prevention and Research Institute of Texas (CPRIT) grant that fully funded Dallas startup, Peloton Therapeutics Inc. — the grant that essentially launched the still-ongoing CPRIT scandal — would likely be reconsidered if Peloton receives a favorable review and is not implicated in a criminal investigation into mishandling of three of the agency’s 498 awards totaling nearly $836 million to 72 academic institutions, non-profit organizations, and private companies in Texas. Austin Business Journal Contributing Editor Sarah Drake notes that an internal review of all of CPRIT’s commercialization grants last fall was able to find no documentation of the appropriate review process for the Peloton grant, and that CPRIT had discovered that its then chief commercialization officer “improperly included the Peloton proposal on a commercialization award slate presented to the institute’s oversight committee” without having the required formal recommendation from peer review committees, according to a news release. Ms. Drake notes that CPRIT officials emphasized that Peloton officials were unaware that the formal review process had not been followed, and had played no role in putting the proposal on the award slate. 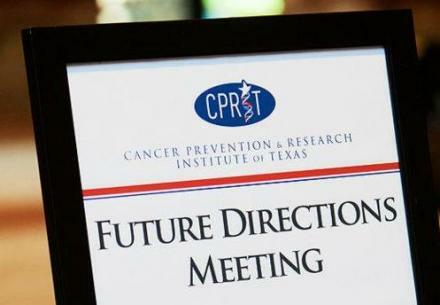 CPRIT’s primary mandate is to find and fund innovative approaches to preventing and curing cancer, to expedite innovation and commercialization in the area of cancer research and to enhance access to evidence-based prevention programs and services throughout the state, to advance recruitment of first-rate researchers to Texas and to train of the next generation of cancer researchers. All CPRIT-funded research is to be conducted in state by Texas-based scientists and reflect CPRIT’s mission to attract and expand the state’s research capabilities and create high quality new jobs in Texas. • Continue to develop and implement the Texas Cancer Plan by promoting the development and coordination of effective and efficient statewide public and private policies, programs, and services related to cancer and by encouraging cooperative, comprehensive, and complementary planning among the public, private, and volunteer sectors involved in cancer prevention, detection, treatment, and research. 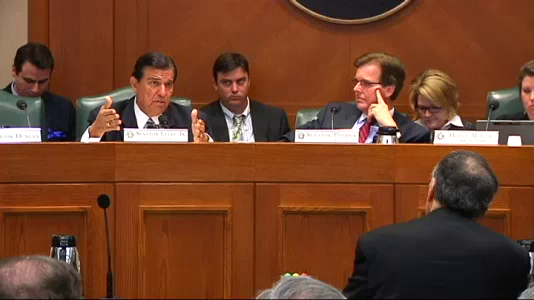 However, The American-Statesman’s Copelin notes that CPRIT’s previous leaders for some reason yet unclear approved the Peloton grant without the mandated scientific and business reviews being completed, an irregularity that went undetected by the agency for two years during which CPRIT had advanced Peloton the grant’s first $3.2 million increment. Peloton had reapplied for funding last fall before the problem’s public disclosure — its second application frozen by the state in December, along with other pending grants, while Travis County district attorney’s office Public Integrity Unit prosecutors collected evidence which they are expected to begin presenting to a grand jury this month. Copelin reports that even after months of media and legislative attention, and a state audit, it is yet to be explained why former CPRIT executives recommended that the Peloton grant be approved without the required reviews and said nothing about it for two years. He quotes CPRIT’s current interim executive director Wayne Roberts saying the reason the Peloton grant didn’t get the appropriate reviews hasn’t been determined, but that the company is a “viable” organization that has attracted private investment although it still requires CPRIT funding, and will be subjected to required reviews once a moratorium on the agency’s grant process is lifted. Mr. Roberts, who was appointed last December to serve until a permanent Executive Director can be hired, appropriately offered no opinion as to whether Peloton’s second application would be approved or otherwise, saying only “I’d assume we’d take the peer review’s recommendation without prejudice,” and that Peloton will not be asked to return the initial $3.2 million installment, pending results that emerge from the criminal investigation and any subsequent review by the agency’s expert scientific panel of the application’s merits. CPRIT has announced that positive steps have begun to ensure proper controls and procedures are in place to prevent reoccurrence of issues identified by the State Auditor’s Office (SAO). 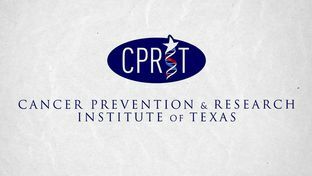 These actions are designed to increase transparency and strengthen administrative controls of grant awards, both of which are crucial for restoring the Legislature’s and public’s trust in CPRIT’s ability to carry out its mission. CPRIT’s Implementation Plan (PDF) provides a detailed description of how CPRIT is addressing the 41 SAO recommendations, proposed legislative changes, and other changes. Working in collaboration with UT Southwestern scientists, Peloton’s focus is advancing a discovery and development pipeline comprised of several small molecule-based programs, each with a distinct target and mechanism of action. The Company’s declared vision is to become a major biotech company in Dallas by leveraging great science, high-caliber people, and the long term support of Texas-based research institutions. One of the premier academic medical centers in the nation, UT Southwestern integrates pioneering biomedical research with exceptional clinical care and education. UT Southwestern physicians provide care to more than 100,000 hospitalized patients and oversee nearly two million outpatient visits a year, the university’s three degree-granting institutions training nearly 4,400 students, residents and fellows, and its researchers undertake more than 3,500 research projects annually, totaling almost $417 million in federal, state and private support. In 2010, according to a company abstract, Dr. McKnight approached The Column Group (TCG) with an investment proposal for building a new biotechnology company from scratch in Dallas to seed a novel research and development platform with several oncology programs from leading investigators at UT Southwestern and to seek grant support for the endeavor from the newly formed Cancer Prevention and Research Institute of Texas (CPRIT). His idea was favorably received, and Peloton Therapeutics established. By June 2010, CPRIT announced that the new company would receive the Fund’s first Company Creation and Recruitment Award in the amount of $11M, which helped Peloton complete an $18M Series A financing issue, announced on July 27, 2011. Led by The Column Group and joined by Remeditex Ventures, the Series A funds were to supplement the $11 million CPRIT grant, and with the hiring John A. Josey, Ph.D. , former Vice President of Discovery Chemistry at Array BioPharma, Inc., as President and Chief Scientific Officer in August 2011, Peloton appeared poised to proceed strongly with its mission to discover and develop new cancer medicines and become a major oncology-oriented player in the Texas biotech community generating a sustainable pipeline of cancer therapies that are designed to enhance outcomes and treatment practices. In a release, Peloton officials said the company would focus initially on advancing several well differentiated oncology programs, each of which had already yielded promising lead compounds with novel mechanisms of action. Peloton had leveraged its close relationship with the University of Texas Southwestern Medical Center to in-license these programs, providing a kick-start to its internal research and development capabilities. Peloton’s Board of Directors includes Nobel Laureate Michael S. Brown, M.D., Regental Professor of the University of Texas System and Director of UT Southwestern’s Erik Jonsson Center for Research in Molecular Genetics and Human Disease; John W. Creecy, CEO, Remeditex Ventures; David V. Goeddel, Ph.D., Managing Partner, The Column Group; Tim Kutzkey, Ph.D., Partner, The Column Group; and Brett A. Ringle, President, Remeditex Ventures. Next article Do Financial Conflicts Of Interest Influence Cancer Research Outcome Conclusions?